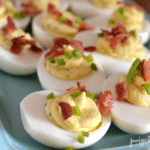 This ranch deviled eggs post contains affiliate links. 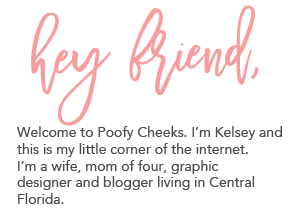 These links don’t change the cost of the products however we do receive a small percentage if you make a purchase which we use to keep the blog running and buzzing with new content. I finally broke down and bought myself an Instant Pot. I was thinking what is the big deal with this thing? I already have a slow cooker. Then I heard you can put frozen chicken and meats in it and my ears perked up a bit. I did some research and it turns out it was the thing I have been needing in my life. Working full time, sports practices and daily craziness has had me bringing home fast food and frozen dinners more often than I would like to admit lately. Ramen nights became a ‘thing’ at our house. While I think there is nothing wrong with a few easy dinners every now and then it was becoming an almost every night ordeal. Since I bought the Instant Pot last month I have started meal prepping one day a week, freezing the meals and then taking them straight from the freezer to my Instant Pot for homemade meals in usually less than an hour. While the meals are cooking I am giving the kids baths, helping with homework or cleaning up the house. I have even used the delayed start so I can take the boys to practice and return home to a finished, hot and waiting-for-me dinner. This small appliance has quickly become my go-to way to make dinner and honestly a dream come true. I have now made over a dozen different dinners in the Instant Pot using the sauté and meat/stew settings but I used a new function last weekend. I made hard boiled eggs with the egg function. It takes about five minutes for the Instant Pot to build up pressure, then it cooks for five minutes. Let the Instant Pot naturally release pressure for about five minutes and then remove the eggs immediately to a bowl with ice and water to stop the cooking. Guys I am known for making boiled eggs that look like they went through a zombie apocalypse. The shells never want to come off and there are huge bits of the egg white missing. This time they were flawless. My husband was amazed since he is usually making fun of my hard boiled egg skills. I owe it all to my beautiful little Instant Pot. Cut hard boiled eggs in half and place all of the yolks into a medium bowl. Add the ranch dressing powder, onion, mayo and mustard to the egg yolks and use a mixer to beat the ingredients until most of the lumps are gone. Fill the egg whites with the yolk mixture and top with chives and bacon. I used a frosting piping bag to pipe the egg yolk mixture back into the eggs. I don't do this if we are eating them as a family but if they are for an event or gathering it looks so sleek and perfect. I’m tellin’ ya piping bags are the way to go if your eggs are for a holiday or special occasion! They come out looking so pretty and perfect. I topped mine with chives and bacon. My family loves when I make ranch deviled eggs and all of us devour them. When I made this batch they didn’t last more than an hour if that. I present to you the piece of resistance. These pictures are going to be all the convincing you need that your deviled egg recipe needs an upgrade. I want more by looking at these pictures alone! My mini me wanted a cheers before we ate our eggs. Cheers to yummy eggs and little munchkins that are growing way too fast. Ohhh … much too salty for our family! Add the Rand to taste, not the entire packet like I did. Eggs looked lovely, though! I wouldn’t. The ranch dressing packet is a blend of spices. Using ranch dressing would not be as concentrated and would make the yolk mixture too thin. Good, but a little to salty even without the bacon bits.